We are a lading worldwide manufacturer and supplier of high Quality antibodies and immunological reagents for medical research and are now a division of MorphoSys. Cambrex is an innovative life sciences company dedicated to providing essential products and services that accelerate drug discovery, development and the manufacturing of human therapeutics.  Do you need more antibodies than you can make? Don't have time or resources?  Do you want to commercialize your antibody? 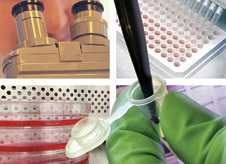  Do you require conjugated antibodies? 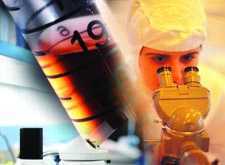 R & D Systems is a specialty manufacturer of biological products. It has two operating divisions: Biotechnology and Hematology. The hematology division develops and manufactures whole blood hematology controls and calibrators for hospitals and clinical laboratories to monitor the performance of blood analysis instruments, assuring the accuracy of test results.